Creating your web site can be a tricky process. Choosing the best web design company for your site is extremely important. Unless you run a web-based business, you probably do not have web design experience within your company. Finding a web designer is the easy part- all you need to do is perform a quick search online and bingo, you’re presented with pages and pages of them in the search engine results. The hard part is choosing the right web designer for your individual project. Every web design project has a specific set of requirements and every web designer has a unique set of skills that may, or may not, be suitable for your needs. 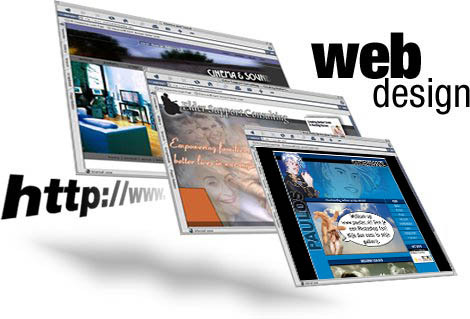 There are many web design companies out there to choose from. And most of them are pretty good at what they do. Our company is the perfect choice for your design needs, as we tailor to the customer’s needs and also build a professional image online for your business. BCNI provides web design services in Oakville, Burlington and Mississauga and e-commerce and web development services all over Canada. We put at your disposal a portfolio of the web designer’s previous work This will help you get a better feel for the style of sites any particular web designer from BCNI is capable of doing. Most of the time, web designers have their own unique style and you can easily spot which web design they’ve done in the past. I mean, it’s similar to any other artist’s style; you can definitely spot their previous works based on the general layout, color scheme, and over-all visual appearance of the sites. Experience is also a key factor here. Just like any other craft, web designers get better with experience. So naturally, you’ll be better off by choosing a web designer who has more experience under his or her belt. Our team of web designers are highly experienced and can create a customized web site for your business, by analyzing your professional goals and web market, your target audience. Moreover, being a web designer at BCNI means that you have to be highly versatile and able to work with different web development technologies. That’s how BCNI comes up with the best solution and web design, which will help you stand out and give your company a recognizable trademark.